As unique as Esports are, organizing an Esport event shares a lot in common with other kind of events, from sports tournaments to conventions, to team building week ends. 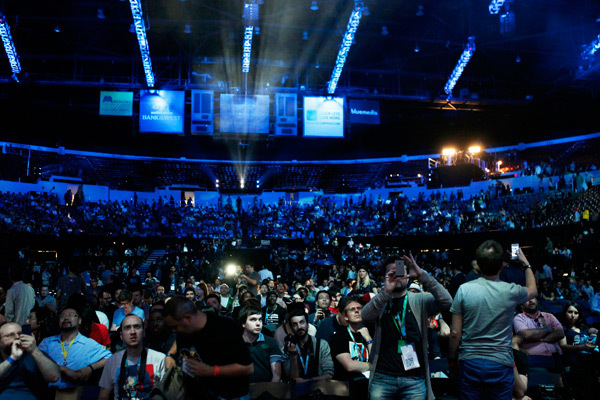 As the E3 is on, here are 9 tips and words of wisdom which works great for all kinds of events and thus, yours ! Always keep in mind that your project is one of the many ones out there. You must stand out from the crowd with a simple, strong, understandable, easy to remember pitch for your event. Keep the details and processes for a dedicated website. Rule of thumb here : you must able to pitch your whole event in one sentence. People’s memory and span of attention is getting shorter and shorter. Your great, clear message ? Send it again, and again. The way your think your event location may differ from the way your audience will experience it. As soon as you’ve secured your event location walk around it and imagine how people will navigate, visit booth, get information, how entering the main stage space will feel etc. Exclusively working on a plan can make you lose focus on how it will look from the floor. experience, have access to? What thing do they hate the most? Diving into the event organization business means nothing is set in stone. Worst, everything is subject to change, cancellation or unexpected surprises. Always think and act with room for flexibility, so that your whole, precisely crafted plan doesn’t crumble like a house cards at the first upset. Also : Back up plans, back up plans everywhere, for everything. Here’s our very own method : draw a three columns table. In column 1, put all your event elements, from the PC to hotels for the players and lanyards. For column 2, imagine all the things that could go wrong for the corresponding element. In column 3, answer each issue with a contingency plan. And this is also true for all the people working on the event. One slacker alone may cast a shadow of bad experience for the audience, let alone the players or the medias. Don’t spare efforts, reminders and check about your team’s attitude and the way they behave. Our dreams often crash into the harsh reality of limited budget, manpower and trivial little things such as Time. “Your resources are limited” is the most important mantra you should constantly be humming. Dream big but don’t drown in your visions. The second memo you should tattoo on your shoulder is “optimize your efforts”. Put human ressources where they can shine the most, proioritize your objectives, find a way to get the extra 10% efficiency everywhere you can. After the event take some time to… rest. And a couple of days later, when everybody cooled down, organize a debrief meeting. Pros and cons, things which went better than expected, thing which didn’t… Then, start a “Room and scope for improvement” round table and plan your next, better event!